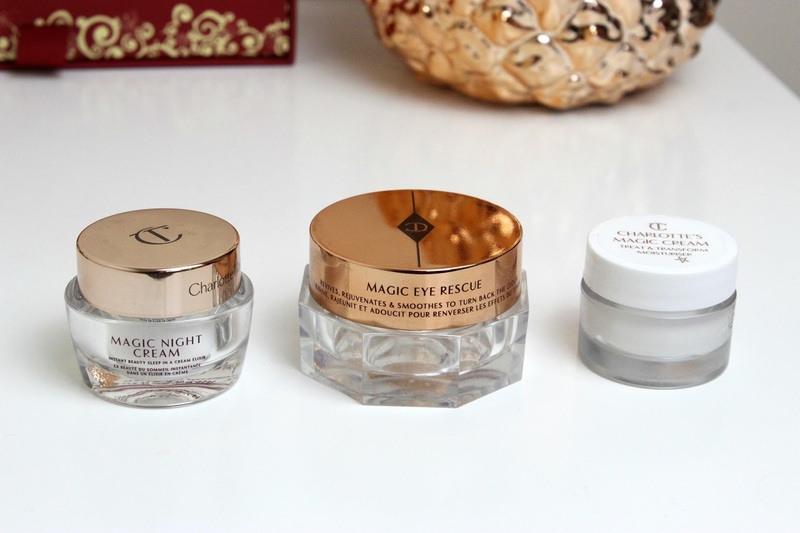 For the last month or so, I've really been loving some Charlotte Tilbury skincare that I have, so I thought I'd let you know about them. 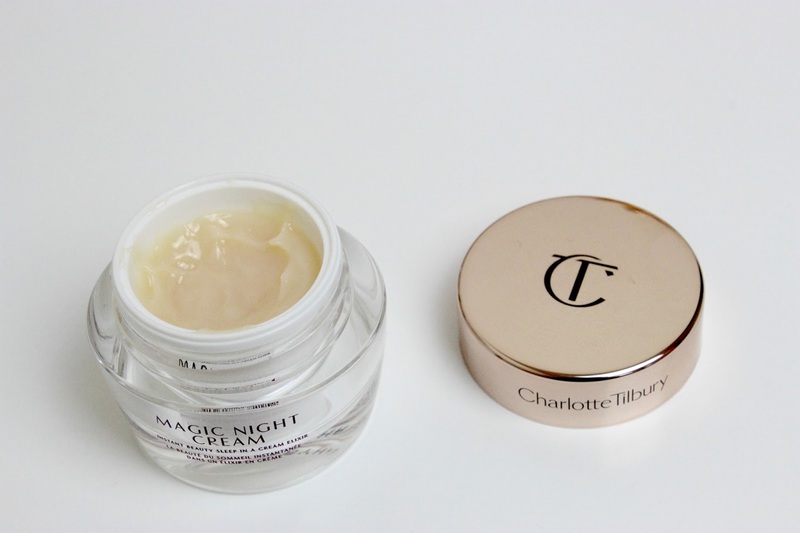 Charlotte Tilbury's Magic Cream had me intrigued when I saw it on her YouTube channel yet I didn't really want to fork out the £70 to find out if it was any good or not. I'd heard mixed reviews about it too! I decided to push my luck a little during this massive Charlotte Tilbury haul and managed to get myself this very generous sample! This is quite a thick cream that is deeply moisturising on the skin. You don't need a lot of it so I guess the tub would last a very long time. I reckon this product is definitely most suited to dry skin as it can be a little greasy and heavy on the skin until it has absorbed properly. This makes my makeup go on so much better so I don't mind it. I do think I will want to switch to something a bit lighter in the summer though. I managed to get this tub of the Magic Night Cream from The Book of Magic Makeup (£150 at CharlotteTilbury.com) and I'm really glad I did, as I wouldn't have paid the £100 to try the full size without trying a sample first! I find this to be quite unique in its texture. It's like an oily gel-cream that feels so luxurious on the skin. Just like the day cream, it's quite heavy and super moisturising so I'm not sure how oily skins will feel about it but I love it on my skin. It stays quite wet looking (and feeling!) for ages so definitely suited to night time use only. I wake up with incredibly soft skin after using this so I will be sad when this pot runs out, however it does take a long time to use up. 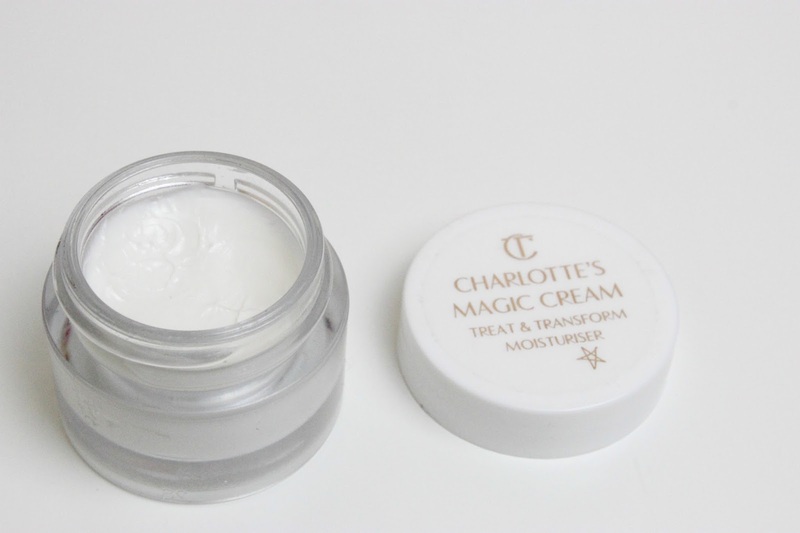 As soon as Charlotte's eye cream launched, I wanted it! It took my husband telling me that it looked like I needed to apply more cream around my eyes for me to take the plunge. He doesn't normally make those kind of comments so I thought things must be getting bad! This product almost feels like a mixture of Charlotte's Magic Cream and Magic Night Cream. It's sort of creamy but sort of like a gel. Even the colour of it looks like I've mixed those two products together! 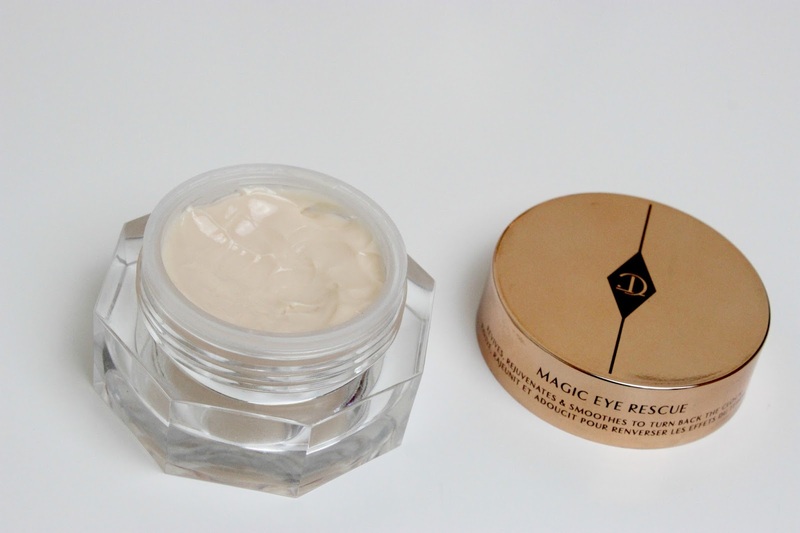 This is one of the best, if not the best eye cream I've ever used. I need something very moisturising under my eyes as they get so dry and it can make concealer application tricky. This creates the perfect base for concealer as well as keeping the skin hydrated all day. I use this cream at night too. I would definitely recommend these products if you've got dry/dehydrated skin and like me, have reached your 30's and feel like you need to step up your skincare game a bit. They are also ideal for the cold winter days, giving you a much needed boost of moisture. If you're quite a bit younger or have oily skin, you may want to try and get a small sample of these or test them in-store as I'm not sure they will be suited to your skin! Whilst browsing the Charlotte Tilbury website, I noticed you can buy all three of these products as a gift set called The Magic Skin Trilogy for £195 here, which does offer a bit of a saving if you want all three. Have you tried any Charlotte Tilbury skincare?